Crane fly rescued from the oblivion of my vacuum cleaner and given a new existence. 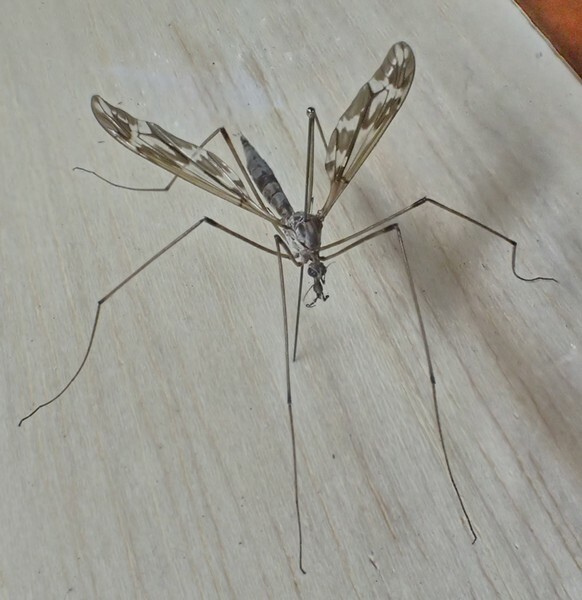 I grew up calling them “mosquito catchers.” Other folks know them as daddy longlegs (a name also used for Opiliones,a type of arachnid) or mosquito hawks. More properly they are known as crane flies, or family tipulidae of the order diptera — true flies. Resembling giant mosquitos, they inspire fear in some people. But unlike their more bloodthirsty cousins, they cannot bite. As adults, most species don't even feed, living for only a week or two following their final molt. Moving a dresser that had not been moved in years I found a very dead specimen which had interesting wing markings. Adult crane flies often lose legs, sacrificing appendages to escape with their lives. They are extremely fragile, making them an unlikely subject for displays, so I decided to give it a go. Not finding any relaxing fluid in my paraphernalia, I resorted to an old school method I'd only read about. I put the tangled mass of legs and wings in a jar with a piece of paper towel dampened with distilled vinegar. In a day I was able to move the legs around and set them into position before allowing it to re-dry. Although I can't think of anything more fragile, it survived the process in perfect condition. Robin's pincushion gall on the leaf axil of a wild rose. One can often discover an odd growth on some of the local wild roses. 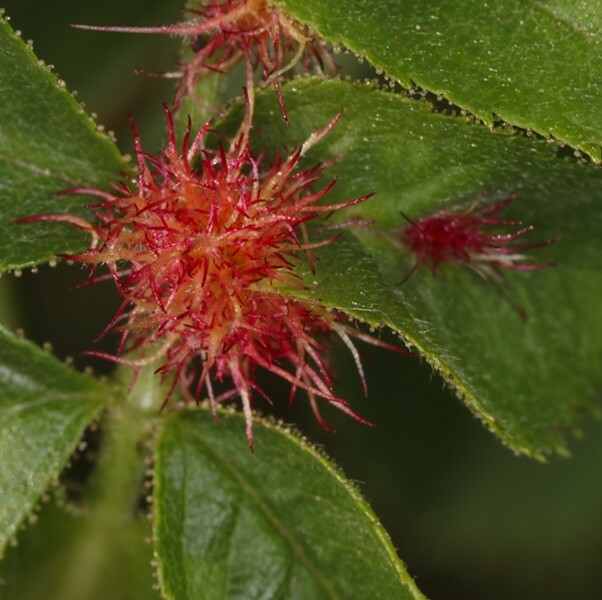 Known as robin's pincushion gall, it is caused by a tiny gall wasp (Diplolepis rosae) which deposits its eggs on a growing rose bush. The larvae emit a chemical that causes the plant to grow a wild, spiky red tangle, providing some protection as they feed and mature. There are, however, known parasitoids that still attack them. 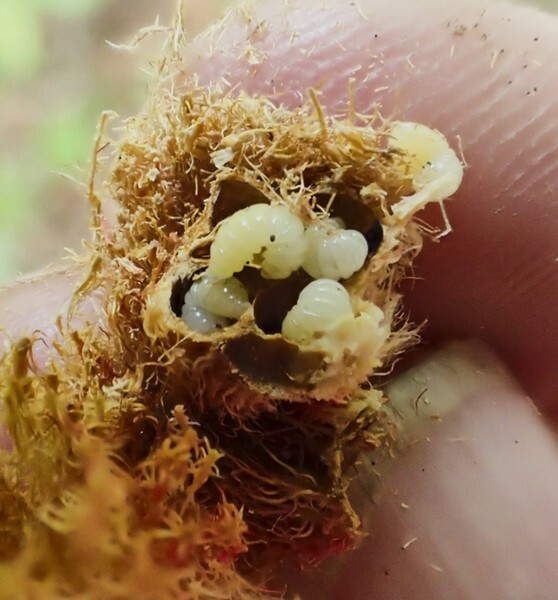 Tiny grubs of the gall wasp that produces the robin's pincushion.